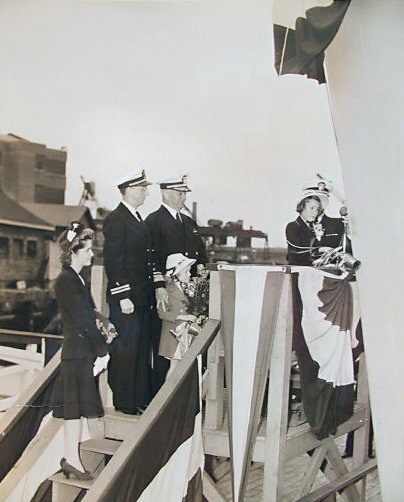 07 April 1943: Keel laid by the Boston Navy Yard, Charlestown, Mass. 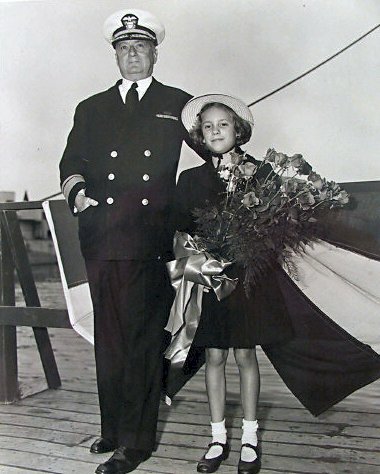 40k 03 September 1943: Boston, Mass. 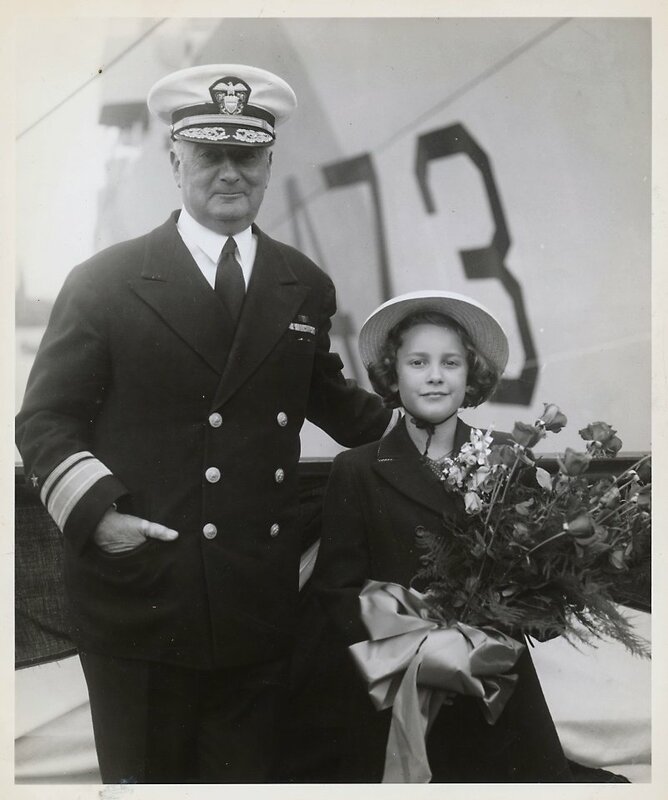 - I'm standing in front of my Father, to my left is Admiral Theobald, then Captain Grady, and finally, the Chaplain, whose name I forget. 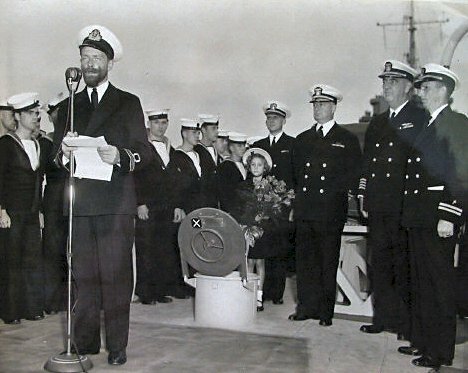 The British captain of the ship, Shirley Gordon, is reading the Articles of War to the crew, during the commissioning ceremony at the Boston Navy Yard. 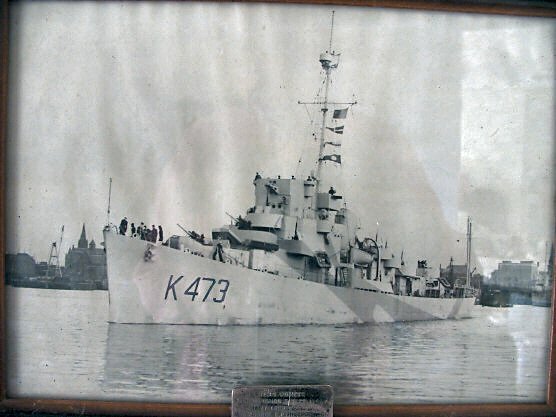 44k date / location unknown: HMS Domett (K-473), the former USS Eisner (DE 269), underway after being commissioned into the British Navy.